I installed it yesterday and it's definitely better than anything ASUS has managed so far. Linux Noob but learning fast. I have a small blog with some Raspberry Pi and Tinker Board tutorials I've picked up. Any reviews? What is working/not working? (06-07-2017, 12:33 AM)vladt Wrote: Any reviews? What is working/not working? The bluetooth doesn't work. There is no 4k video player. It does seem to be very well put together other than that. I only spent about 1 day testing though. I've had a problem with the network, it seems to be a little random, but more often than not it crashes my network completely. 2x switches and my router. Tried another router and same issue. The lights on the switches just flash like crazy, almost as if it's pinging something at a very very high frequency. Swapped back to Linario and it's all good again. I reinstalled Linaro again and eventually I had the same issue, so my tinkerboard is going back to the store today for an exchange. It happens when I change the host and domain names, I added 127.0.0.1 daz-tinker-board to the domain list in /etc/sysctl.conf, I'm still new to this, but is this normal? OK, so I've finally got a second tinker-board and I have the exact same problem. This time I have 2 microSD cards, Linaro 1.8 and Elar OS. Both Operating systems have the same issue, and I haven't touched the network config at all. But this time instead of booting from a solid state drive, I've booted both OS's from the SD card and both are stable. So it seems that maybe, just maybe my SSD is causing the issue. Maybe it's drawing too much power as the root drive, though I would expect other problems to surface before a network problem. I'm going to try booting from a USB memory stick and see if that stabilises things. BTW I now have 2x tinkerboards... I might just give an OS with Kodi a try. 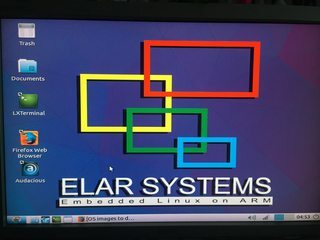 Can be have pure Ubuntu 16.04 LTS for Tinker board ? Any lead/pointer how to compile it for Tinker board. (06-29-2017, 02:23 AM)lalits21 Wrote: Can be have pure Ubuntu 16.04 LTS for Tinker board ?